The monthly prepayment rate increased by 32 percent month-over-month. Delinquencies fell 6 percent month-over-month. Inventory of loans in foreclosure has declined for 19 consecutive months and in 51 of the past 52 months. House prices rose 0.5 percent (seasonally adjusted) in July 2016. The 0.2 percent June 2016 increase was revised to 0.3 percent. Year-over-year, prices rose 5.8 percent. 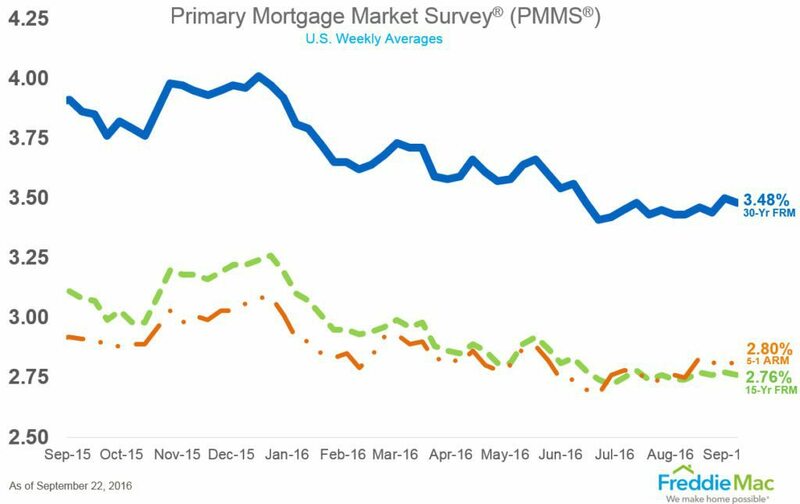 The 30-year fixed-rate mortgage (FRM) averaged 3.48 percent with an average 0.6 point for the week ending September 22, 2016. This is down from last week, when it averaged 3.50 percent. One year ago, the 30-year FRM averaged 3.86 percent. 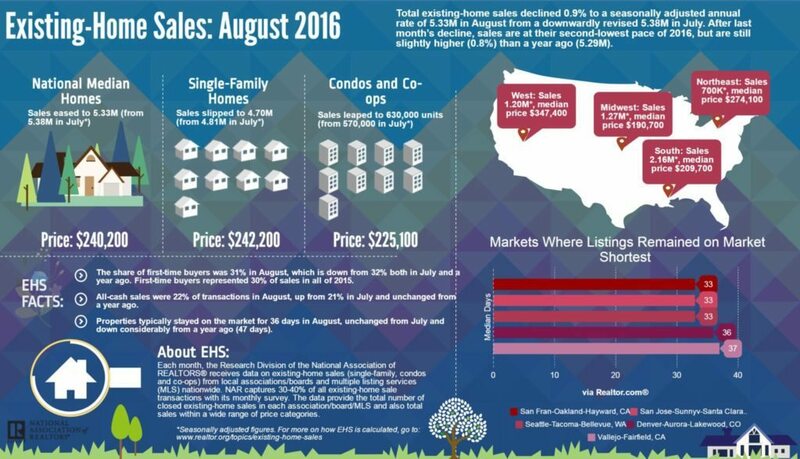 Total existing-home sales declined 0.9 percent. 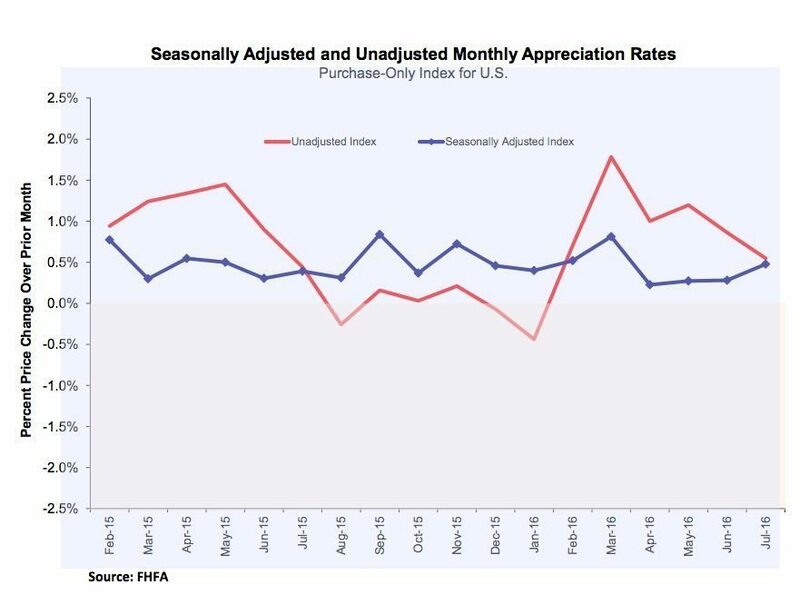 The seasonally adjusted annual rate for August was 5.33 million, down from a downwardly revised 5.38 million in July 2016. Sales are at their second-lowest pace of 2016, but they are up 0.8 percent from one year ago (5.29 million) nonetheless. There were 12,718 mortgage applications estimated to have indications of fraud in Q2 2016. The mortgage application fraud risk index was up 3.9 percent year-over-year in Q2 2016. Florida continues to be the riskiest state for mortgage application fraud.